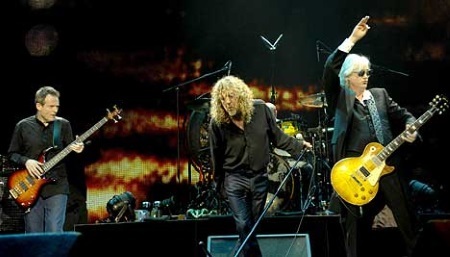 10 years ago Led Zeppelin took the stage at the 02 Arena in London as the headliners for the Ahmet Ertegun Tribute Concert. With Jason Bonham filling the shoes of his father John Bonham, Robert Plant, Jimmy Page and John Paul Jones tore through their classics, even throwing in the first ever live peformance of For Your Life. The show was released in 2012 in various formats. Tons of words have been written about the final hurrah (for now) of Led Zeppelin, but for the most in-depth coverage head over to Tight But Loose, run by Zep fan Dave Lewis.